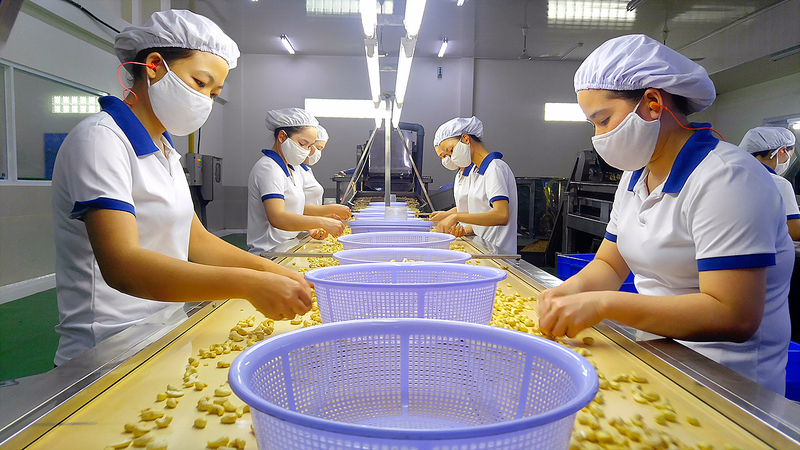 Cashew sector in Vietnam "buy near neighbors"
Demand for all types of nuts, including cashew nuts, globally is forecast to continue to rise. According to Michael Waring, vice president of the World Council of Dry Seeds (INC), when World Health Magazine published the nutritional content and beneficial effects of many diseases in cashew nuts, this is Seed types are preferred. The demand for cashew nuts in the world increased about 10% per year, while the increase in area as well as cashew nut production was only 5%. This is a condition for Vietnam’s cashew industry to continue to grow in the coming time. INC dry grain transactions in the global market are valued at about $ 30 billion a year, with the largest market share of about $ 6.5 billion. With this trend, by 2021, cashew nuts will account for nearly 29% of the market, followed by walnut seeds. However, the higher the amount of processing, the more businesses (DN) to import more raw materials from countries, especially Africa and the highest is the Ivory Coast.